Programmed USB-devices by Ecom4 are a trendy and future-oriented and offer multimedia information on a high level. To support highest impact to customers or clients Ecom4 offers these USB devices in articles for daily use. Key chains, pens or noble loyalty cards - instead of a few kilograms of paper your customers can be provided with just a few grams of interesting and - thanks to the internet - constantly updated multimedia information! The revolution of the internet enables many companies to adjust their strategies and to gain successfully their market shares, but one area could not touch the electronic revolution yet: the handout of sales-and marketing-relevant information. At fairs, thousands of catalogues are issued, but the consumers rarely read them. They are not very long up-to-date and are often thrown away by the curstomer - and they are at least as expensive as USB devices. 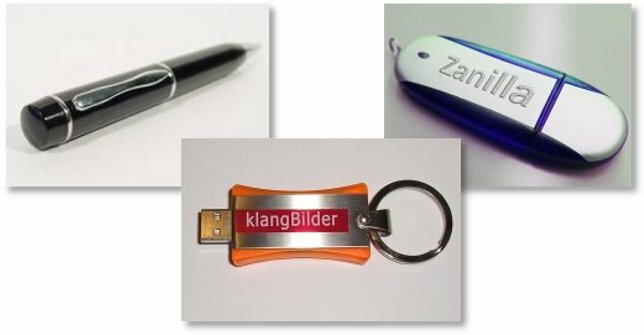 A key chain or pen which is used daily is an ideal information storage with quick and easy access. The content is partly stored on the USB device and can be partly retrieved via internet access. This allows each company to provide the customer e.g. with high quality video spots on the device, but also to link to online product or order pages, which are mostly up-to-date.